Springbok Casino Review 2019 - R11 500 Springbok Bonus! Visit Springbok Get Your Bonus! Fully licensed and regulated. Springbok is licensed and regulated in Curacao Springbok also supports responsible gambling and utilizes the Central Dispute System to resolve any disputes. Average Time of Withdrawal is 2 days ? All legitimate, real-money online casinos like Springbok have strict anti-fraud screens, and that may create a short withdrawal delay. Make your first deposit and Springbok Casino will match it 100% up to R1500. So if you deposit R1500 you'll have R3000 to play with! Get bonuses on your next 2 deposits too! ? On your 2nd and 3rd deposits you will receive 50% bonuses worth up to R5000 each. Other bonus offers are available. Please read the terms and conditions of the bonus carefully. Now that online casinos for South African players have become widely available, are you one of the people who has been less than satisfied by the sites you have tried recently? Or perhaps you have considered playing but haven’t gotten around to it yet. Either way, we think this comprehensive 2019 Springbok Casino review by the experts at Cardschat.com will be of interest to you. We have scouted the various online casinos for South African players to uncover the best of the bunch, and Springbok Casino stands out as a place worthy of your consideration. Not every online casino accepts players from South Africa, but at Springbok Casino your action is welcome anytime. For your convenience, ZAR is accepted as currency for all of your transactions and, in fact, is the only form of currency the casino uses. You will feel right at home playing all of your favourite slots and table games at Springbok Casino! Springbok is a real money casino. While you are welcome to select the free play option to test the waters, you are encouraged to wager real money and to take advantage of the generous bonuses and other player benefits, such as free daily slot tournaments and comp points, offered only to real money account holders. Unfortunately, the bonuses offered at Springbok Online Casino have certain country restrictions, and residents of certain countries, like the U.S. and UK, cannot play at all. However, none of these restrictions apply to players from South Africa. You can take advantage of every benefit that Springbok Casino online real money play has to offer because Springbok Casino caters to South African players. Having reasonable assurance that the online casino you are planning to play at is safe and secure, offers games with good odds, and treats its customers fairly is of paramount importance. Because it is so important, we were surprised that information about the licensing of Springbok Online Casino is not included on the website. However, the website does state that all of the games have been certified for fairness by Gaming Laboratories International. We also conducted some background research and found that Springbok Casino was established in 2012 and has a Curacao license. Keep in mind, though, that Springbok Online Casino is not eCogra certified. Springbok Online Casino takes its responsibility very seriously to maintain a safe and secure playing environment. All of your financial transactions are fully protected through the casino’s use of advanced encryption technology. In addition, the comments of both professional reviewers and players on this casino’s practices have been consistently favourable. Springbok Casino is affiliated with the Jackpot Capital Group which has a great reputation with players. Springbok Casino is powered by Realtime Gaming (RTG), an internationally known software provider that is widely used by online casinos. RTG may not have quite the prominence and prestige of Microgaming and Playtech, the two industry leaders, and it certainly does not offer anywhere near as many games. 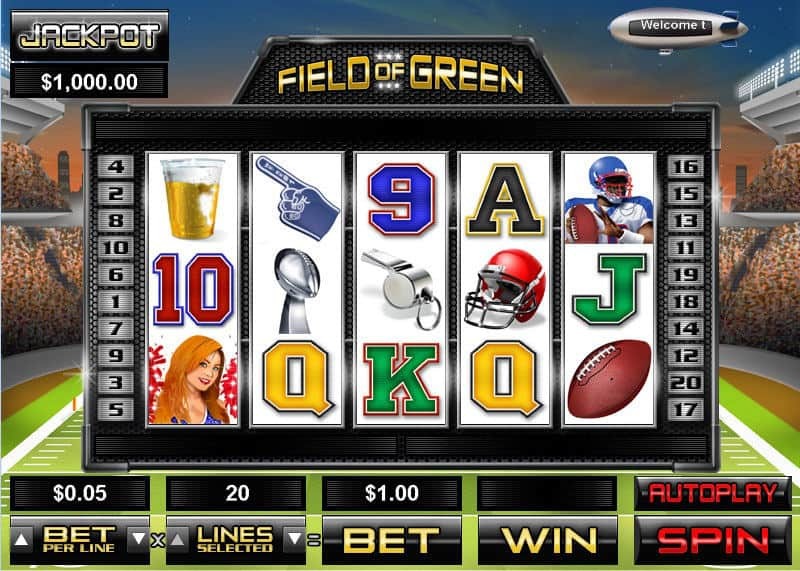 However, RTG seems to have a knack for making relative small casinos seem bigger than they really are by offering an impressive portfolio of slot games with very creative titles and great game variety. The software is simultaneously technologically advanced and user friendly. Regardless of which of the three modes of playing you select, the high quality graphics, sounds, and animations assure you of an entertaining online experience. As mentioned, Springbok Casino attracts players from around the world, which is unsurprising for a leading RTG casino. The casino particularly makes a point of making South African players feel welcome and comfortable. The distinctive gold lettering against a dark green and black background on the home page is a fitting homage to the South African flag in which the same three colours are prominently displayed. Like most modern online casinos, Springbok Casino shows that it is keeping up with the times by offering the now almost requisite choice of three convenient ways to play. Springbok Casino Downloaded Version - If accessing as many games as possible and assuring yourself of the best quality graphics and sounds is important to you, the traditional method of downloading the software onto your computer is still your best bet. The easy to follow instructions are provided on the website, and in practically no time at all, you will be able to choose from more than 200 games. The one disadvantage is that you can only play from your own computer. Also, the software only works on PCs, not on Mac computers. Springbok Casino Flash Version - The instant play flash version offers almost as many games as the downloaded version, but with a lot more flexibility because you can access the games on any browser, PC or Mac. Springbok Casino Mobile Version - Springbok Casino has developed a mobile app for play on both Apple iOS devices (iPhones and iPads) and Android devices, which is welcome news for those of you who are on the go a lot. Don’t expect the apps to give you access to anywhere near the same number of games as on the downloaded version, or even the Springbok Casino Flash Version. But whenever you find yourself away from home with unexpected extra time on your hands, it sure is convenient to be able to play some of your favourite games anytime anywhere on your smartphone or tablet. As of this writing, you can enjoy 27 games with the Springbok casino apps, including slots, keno and blackjack. One of the casino’s newest slots, Lucha Libre, was recently simultaneously released for both computer and mobile play. Look for the Springbok Casino mobile version to get bigger and better with improved mobile apps that enable a wider choice of games on your iPhone, iPad, smartphone, or other mobile device. As a new player signing up with Springbok Online Casino for the first time, you can take advantage of a generous three-part Welcome Bonus. All together, you can receive up to R11500 (USD equivalent: $964.30). The three components of the bonus correspond, respectively, to your first three deposits to your account. But before any of this money, or any winnings associated with it, is made available for withdrawal, you will need to meet the specified playthrough requirements. Note that with the exception of Neteller, which can be deposited in either Rand or Euros, your deposits must be in Rand. The bonus is also given in Rand, and any winnings will be in Rand as well. Here are the basic terms and conditions of the Springbok Casino Welcome Bonus. Even assuming that the bonus is withdrawable, the playthrough requirements are high. Therefore, if you are a small player, we recommend depositing less than the maximum and taking a smaller bonus. The minimum deposit is only R25. The casino gives you a choice of several types of games to use to fulfill the wagering requirements. Slots, European Slot Poker, Pai Gow, Caribbean Stud, Bingo, and Scratch Cards all count 100%. Wagering on any other games not only does not count but will void the bonus and all winnings. Banking at Springbok Casino is safe and secure with any of the convenient deposit methods listed at the beginning of this Springbok Casino review. As you can see, the choice is quite limited compared to what some online casinos have to offer. Of these methods, credit cards and electronic funds transfer (EFT) can only be used for deposit, not for withdrawal. The following are the withdrawal methods that you can use at Springbok Casino together with the minimum amounts and expected processing times. *This method has an additional fee of R200. Only one withdrawal is permitted per week. Except for wire transfer, which is both unduly slow and costly, withdrawals are fast and efficient. For large withdrawals, check with the casino directly about the allowed maximum, which is higher for wire transfers than it is for eWallets. Regardless of which method you choose, you have nothing to worry about; the privacy and security of your account is maintained at all times. Although some online casinos provide an astounding array of more than 500 games (more than many land-based casinos), the 400+ games at Springbok Casino should more than suffice for most players. As you would expect, the majority of these games are slots. 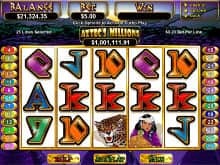 Choose from classic 3-reel slots, thrilling 5-reel video slots with bonus rounds and other exciting features, and RTG progressive slots, also known as Real Series Slots. Each of the progressive slots has a randomly paid out jackpot, starting at $1,000 and steadily climbing with every spin. 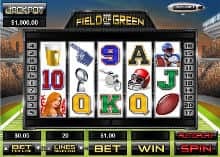 RTG jackpots have been known to pay out over a million dollars. The progressive slots at Springbok Casino include Aztec’s Millions, Jackpot Cleopatra’s Gold, Pinatas, Megasaur, Shopping Spree II, and Spirit of the Incas. You can check the current jackpot size on each of these games on the home page of the website. Among the non-progressive slots, many of the popular titles like Crazy Vegas and Enchanted Garden should be familiar to you if you have played at other RTG casinos. In addition, you will find some new games that you have probably never tried. Your only tough task is trying to choose what to play: Double Ya Luck, Ghost Ship, Lucha Libre, The Naughty List, The 3 Stooges and Brideless Groom, or Wild Wizards. They all sound irresistible. When you feel like taking a break from the slots, Springbok Casino offers plenty of other options. Along with video poker, casino table poker, keno, scratch cards, and specialty games like Bonus Bingo, all of the standard casino table games are offered, including baccarat, craps, and several different variations of roulette and blackjack. Live dealer games are the only thing notably missing. Roulette players can choose American roulette (not recommended because of the double zero) or the more favourable to the player European or French roulette. Multi-player roulette is also available. Blackjack players have an even wider choice. However, some of the blackjack variations like Face-up 21 and Super 21 are gimmick games with a higher house edge than regular blackjack. At some online casinos, the Welcome Bonus is the last bonus you get. Perhaps they figure that because they got you in the door, they have already done their part, so unless your action is exceptional, they can basically forget about you. At Springbok Online Casino, you don’t have to be a high roller for the bonuses to keep coming. Any level of regular depositing and playing entitles you to reap these rewards. But be forewarned that the extra bonuses are not exactly free money; they come with additional wagering requirements. 300% on Any Deposit A 300% match bonus up to R600 on any deposit up to R200 is yours for the asking. But first, check with the casino on the playthrough requirements for withdrawal. 25% Cashback If your account balance falls to R50 or less, you can claim a 25% cashback bonus from Customer Support. The maximum is $300 on a deposit of $12000. The bonus comes with a “10x playthrough” requirement for withdrawal on slots, keno, bingo, or scratch cards. Other games may be used with a higher playthrough so please check with the casino for the latest. 100% Lucky 7 Bonus This is a first come first served bonus. On the 7th day of every month, the first 77 players get the bonus. Of course, you also need to know both the bonus maximum and playthrough requirements for withdrawal, so check with the casino beforehand. Comp Points In addition to all of these bonuses (and possibly more like surprise extra bonuses and birthday bonuses based on play), every time you play in the casino you earn comp points. You receive 1 comp point for every R10 wagered on any game. Every 100 comp points earned is redeemable for R1 in cashback. Daily Slot Tournaments The casino offers additional chances to win with its daily slot tournaments. Some of these have entry fees. For these, you can buy in directly from your real money account balance. You cannot use bonus funds for your buy-ins. Springbok Casino also offers freeroll slot tournaments. While these are free to enter, they are only open to real money customers who have deposited money into their account. As you see, between the slot tournaments and the various bonuses, this casino offers lots of exciting extras. We still feel that this online casino for South African players could offer more along the line of other types of rewards like double points on certain games and drawings from time to time for special prizes like cars and trips. Instead, the heavy emphasis on reload bonuses encourages overspending. Also, other than extra bonuses, it is not clear whether this is a VIP program and what other special perks and privileges high-end players receive. On the other hand, the daily slot tournaments add a nice touch that many players should find both fun and rewarding. Springbok Casino provides 24/7 Customer Support whereby you can receive quick and helpful answers to any play-related questions and concerns. The service is available via phone and email, but not through live chat. Having the live chat option is preferred because the player can then direct the representative to the exact place where there appears to be a problem instead of having to rely solely on a verbal explanation. However, the most important feature is 24/7 availability of support, which Springbok Casino provides. Being a younger casino, Springbok is still a work in progress, but it already has an impressive-looking mobile app. Right now, what they offer is a downloadable app with around 30 games made up of all genres in gaming. The app is accessible by iPhones, iPads, Android smartphones, Android tablets. On these devices, the mobile app runs smoothly and beautifully with its vivid graphics and fun sounds. It is important to keep in mind that Springbok accepts very few payment methods, most of which cannot be used for withdrawal of winnings but only for deposit. This is just as relevant for the mobile app as it is for the online website of the casino. Springbok has many things to endear it to its players, and one of those is its focus on South African players and their ZAR currency. Of course, that is also a disadvantage for non-South African players, but those have plenty of other casinos to play at. Springbok offers a whole range of bonus options to keep you going, and a payout rate of over 96%. Despite not being eCogra-certified for fairness, the casino is affiliated with other organizations that raise its reputation and vouch for its reliability. 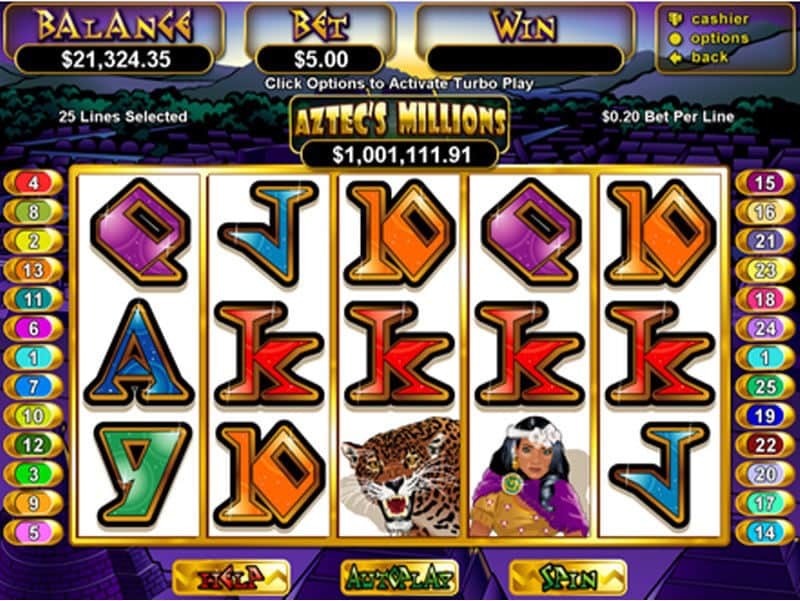 While the downloaded version is the best choice in terms of range of games, the casino also offers a Flash version and a mobile version, giving its players a lot of choice. Join Springbok today and get your deposit matched up to R11 500 for new players!